With over 200 feet of bay front patio, this fully furnished upscale home is the true definition of Orange County living at its finest! Although we are close to all of Orange County’s main attractions, our location allows you to escape the city life and enjoy peace and quiet. Discover Los Angeles in this luxurious Villa with private salted swimming pool located above Sunset Strip among Hollywood Stars, 5 minutes away from prestigious Hotels, restaurants and shopping as well as 2 minutes walk to panoramic Mulholland Drive and Fryman Canyon Park with Rain Forest hiking trails. Gorgeous, romantic, tri-level, beachfront home directly on the sand. Full ocean/beach view from every room. Large master BR with full spa and steam room overlooking beach. Amazing marine life including dolphin, whales, seals, tide pools and the incredible Grunnion runs. Punctuated by planted courtyards, terraces and balconies, the apartment boasts wonderful indoor/outdoor relationships and spatial transparency. The result is a serene inner world, literally bathed in natural light, which draws off the vibrant energy of this exceptional pedestrian oriented street. Wonderful and charming 3 bedroom 3 bath Venice Beach Cottage. Located 2 blocks to the beach and 3 blocks to all the world famous restaurants and shops that are along Abbot Kinney Blvd. and Main St. Also a block to restaurants that are along Washington Blvd. This is one of our most popular 4 bedroom properties, can sleep up to 12 persons… This is located in one of the best Venice Beach locations.. Close walk to Abbot Kinney Blvd shopping and Marina del Rey. Easy drive to other Southern California destinations. 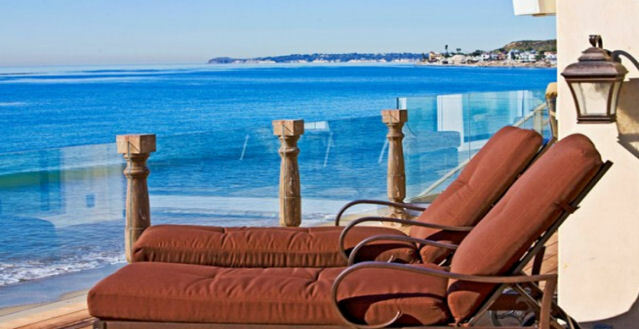 Share the beach with Malibu Colony, the most exclusive celebrity filled beach in all of Malibu. A small exclusive street conveniently located within walking distance to amazing restaurants and local boutiques. Stunning architectural Malibu Estate offers magnificent unobstructed views on 2 private acres with cypress & olive trees lined gated drive. The finest imported Italian limestone, copper, mahogany & travertine grace the exterior of the residence. A 20 foot long sheet of waterfall pours into a circular shape infinity pool/spa that wraps around the residence and butts right next to it. Experience LA luxury at it's finest in this stunning 4 bedroom/ 4.5 bath architectural modern. Towering trees completely enclose this designer oasis, providing privacy in the heart of Sherman Oaks. The Glass House is your dream vacation home with 4000 square feet of pure serene elegance. This property is one of six houses on a private gated beach. The 30 foot ceilings and glass windows give you an unsurpassed private panoramic ocean view. There is nothing like waking up in the morning in your own private mansion in Beverly Hills, where you can live like a celebrity and enjoy the atmosphere the dining and shopping. This luxurious villa features a private swimming pool and is conveniently located in the 90210 Zip Code and just 5 minutes away from all of the luxury shopping and dining off of Rodeo Drive. 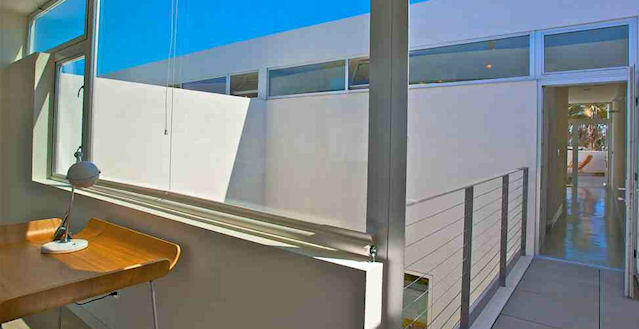 Wonderful and all recently renovated 3500 square foot 5 bedroom 3.5 bath Hollywood Hills 1920's restored Spanish Home. Situated in the historic Beachwood Canyon area of the Hollywood Hills which is located under the world famous Hollywood sign. The home sits on a large lot 15,000 feet that is private and very quiet with no immediate close neighbors. Welcome to the Sacred Path, A unique Architectural Masterpiece with a twist. Nothing here is overlooked, no corners cut. 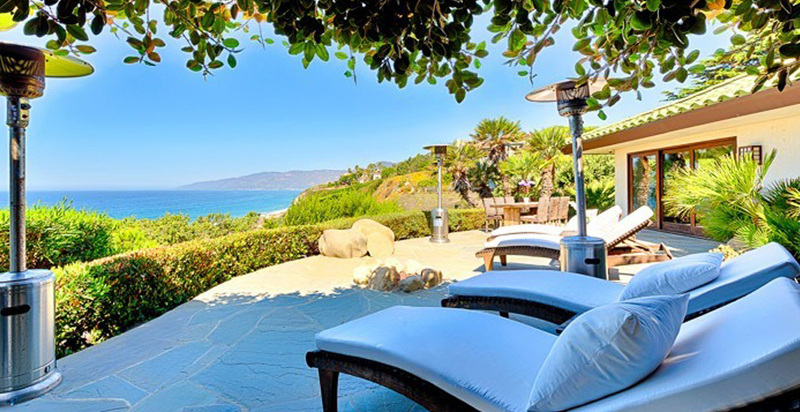 This Beautiful Malibu Palace is a wonderful Mansion rental for those looking to be near the stars, have their wedding, or enjoy a wonderful Southern California Adventure. The House is located in walking distance to a private beach and has enough sleeping room for 15. This unique and stunning modern rental villa, in the pristine Hollywood Glamour of Malibu, is truly exclusive, a private vacation experience. A truly stunning piece of architecture, from the moment you walk in you will be amazed. The lines, the glass windows that flood in natural light, the modern furnishings throughout, one of a kind art, and spectacular location. Just minutes to Downtown Beverly Hills, this Mansion brings the best of both worlds, even for the most discerning travelers. Malibu Colony Beach Mansion is part of the exclusive guard-gated neighborhood that is world renowned for its celebrity residents. "Malibu Beach Motion Picture Colony" was the first name given to this famous address in 1926. Some of the first Colony residents were Bing Crosby, Ronald Colman, Gary Cooper, Gloria Swanson, Marie Dressler, Warner Baxter, Jackie Coogan and many others. Minutes to the Beverly Hills Hotel, this luxurious property was built to the highest level and features 7 bedrooms and 11 baths. A soaring grand entrance and fully automated floor to ceiling glass walls are just a few of the home’s amenities. Incredible sunsets set behind the infinity edge pool that transform this home to a resort like atmosphere every day of the year. California, from Lake Tahoe, to San Diego, visitors flock to California to enjoy the abundance of National Parks, Lakes, and it’s luxurious beaches which draw crowds from all over the world. Unlike any other place in the world California has ejoyed it’s fame due to the Production companies who have made their mark across Hollywood. Aspiring actors from all over the world try and make it in the city that has made most of the famed actors/ actresses who they are. Hollywood is filled with bright lights, amazing architecture and once in a while you may glipse a celebrity dining right next to you. San Diego draws the family traveler. 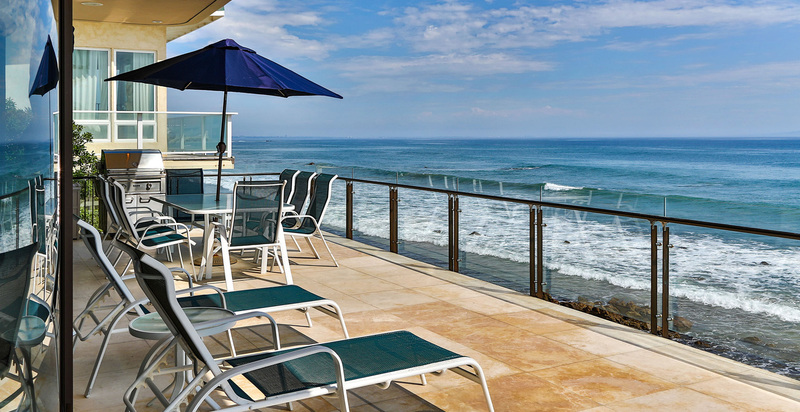 People enjoy La Jolla, Del Mar, Oceanside, or San Diego City itself. This area caters to the people who love the ocean, the warmer southern waters, and the laid back days. This area is also close to lots of activities for children. Malibu and the Northern part of California draw a more adult crowd. The beaches of Malibu are often visited by the celebrity hunters, trying to catch a glimpse of the stars. 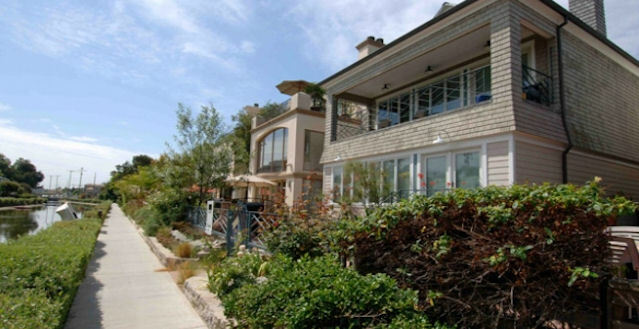 You can drive down through the Beach Community and see amazing waterfront mansions. If you are more interested in the city, you can enjoy what Beverly hills and Hollywood Hills has to offer. There is shopping on Rodeo Drive or you can take a stroll through the Grove. No matter where you go in California you’re always sure to have fun!